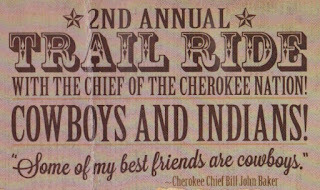 I’d like to revisit the topic of the Principal Chief of the Cherokee Nation's “Cowboys and Indians” themed fund raiser. While Chief Bill John Baker seems to think this is a “cute” idea, as shown by the sentence, "Some of my best friends are cowboys,"
“…it’s clear there are large similarities between blackface and playing Indian–both are intentional acts that draw upon stereotypes and a racist history to enact whiteness–but our Nation has created a narrative in which blackface=racist, while redface=normal. Personally, I don’t know how ANY Indian, let alone the chief of an Indian nation, could think that having a “Cowboys and Indians” themed fund raiser is okay. 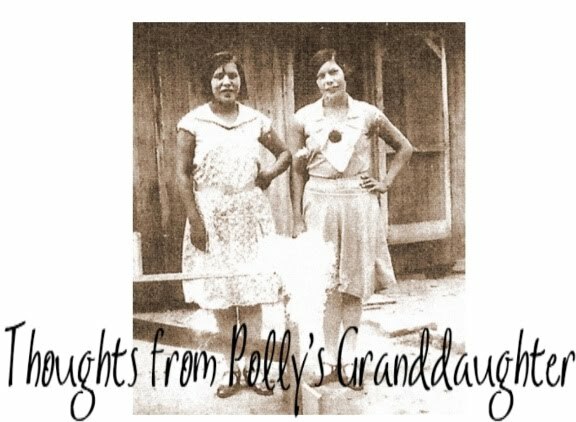 The term “cowboys and Indians” brings to mind the old westerns where cowboys were the heroes (think John Wayne) while Indians were portrayed as blood thirsty savages out to kill white people. 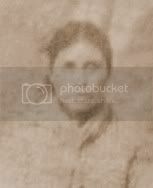 Is this the image Cherokees want associated with them? I can't speak for us all, but I don't like it. I think it is a shame that we have a chief that is so disrespectful to Indian people and all the things our ancestors suffered throughout history. 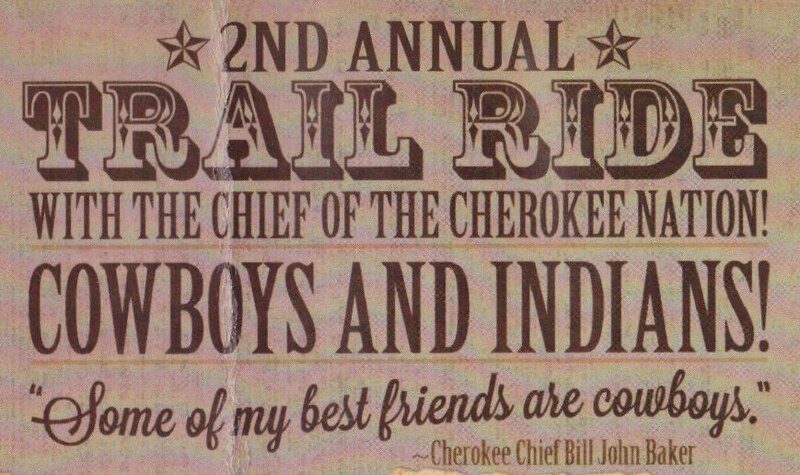 I wonder, will Chief Baker attend this fund raiser playing a cowboy, dressed in Cinch jeans, Lucchese boots and a Resistol hat, or will he go as an Indian? And if he plays an Indian, will he be wearing stereotypical buckskins and feathers or will he go for that "tucked in ribbon shirt" look he is well known for? Enquiring minds want to know. Hit that nail on the head. Whatevers cleaver is BJB's line of thinking. Ironically, Litefoot is all hooked up with Baker. On another note, amazing that someone who has lived in Cherokee county all his life is so out of touch with his own people. But this could have something to do with his virtual inactivity as a TC for many, many years. He's a plastic politician, cheesy smile for the cameras or no where in sight. But I don't even think Baker thought this one up, this is the doing of the out of towners, Like Kalyn Free and Dane Strothers. Please keep this in your mind during election time. We need Cherokees running Cherokee Nation, not a cowboy and his gang.